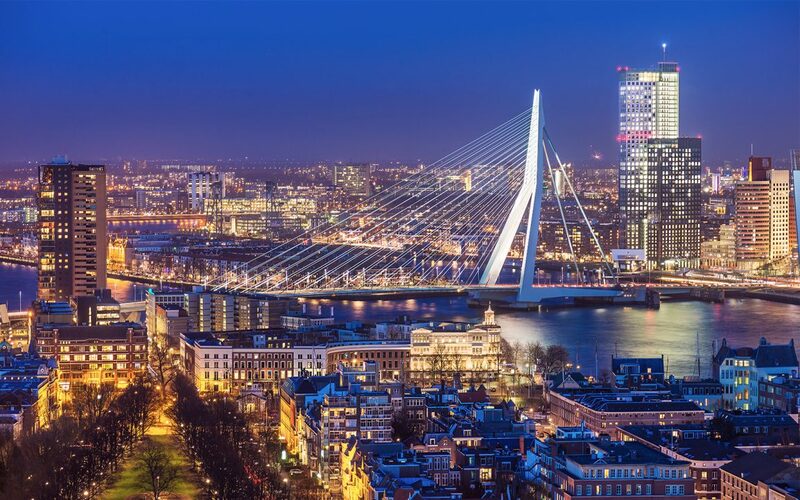 Rotterdam is a young, dynamic, international city with a passionately beating heart. With more than 600,000 inhabitants, Rotterdam is the second largest city in the Netherlands. The city keeps reinventing itself at a rapid pace, redefining and expanding its already impressive skyline every time you visit and presenting new cultural and sporting events to surprise and delight you. Its ever-changing nature makes Rotterdam a city that you can rediscover time and again.